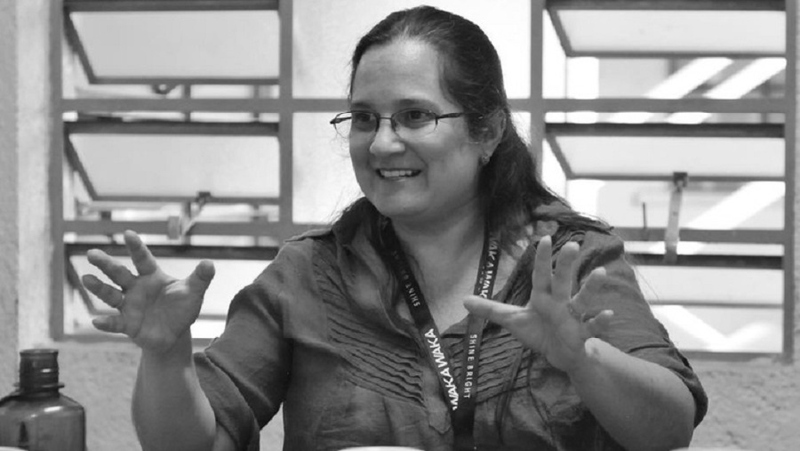 THE FACTS– Claudia Samayoa, a rights defender with a long, widely recognized history of struggle both nationally and internationally, and defender José Martinez, a member of Justicia Ya (Justice Now), have been the targets of a spurious complaint filed by the President of Guatemala’s Supreme Court (CSJ). The complaint, brought before the Attorney General’s Office against Organized Crime on false charges including theft of correspondence and influence peddling, has to do with previous judicial proceedings initiated by Claudia Samayoa and José Martínez to reject impunity for eleven members of the CSJ, including the President. The defenders took this action after CSJ members used falsehoods to deny immunity to three magistrates of the Constitutional Court known for upholding firm, efficient standards in the struggle against corruption and impunity. The criminalization of Claudia Samayoa and José Martínez clearly aims to punish and impede their crucial work in defense of the human rights of the Guatemalan people and their efforts to bring democracy to the country. 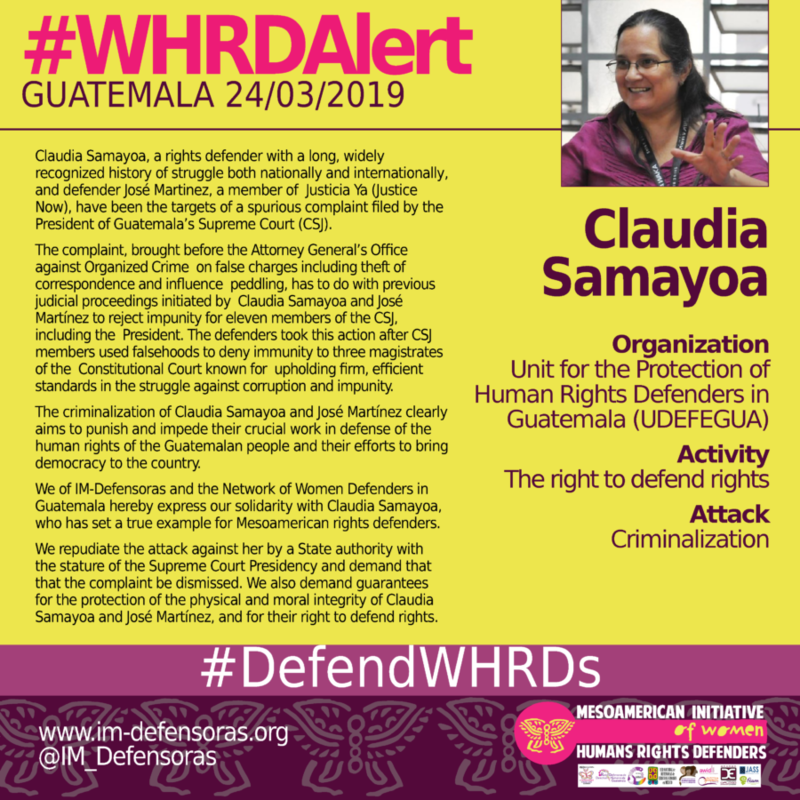 We of IM-Defensoras and the Network of Women Defenders in Guatemala hereby express our solidarity with Claudia Samayoa, who has set a true example for Mesoamerican rights defenders. We repudiate the attack against her by a State authority with the stature of the Supreme Court Presidency and demand that that the complaint be dismissed. We also demand guarantees for the protection of the physical and moral integrity of Claudia Samayoa and José Martínez, and for their right to defend rights.